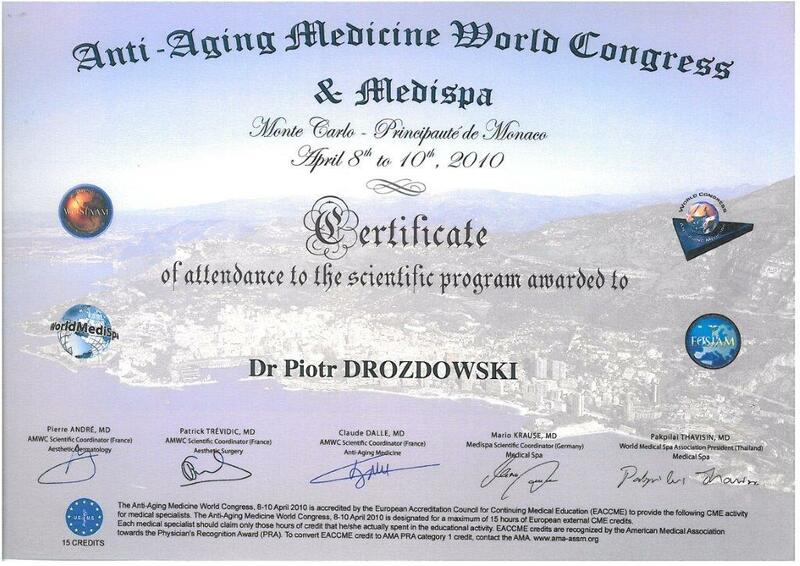 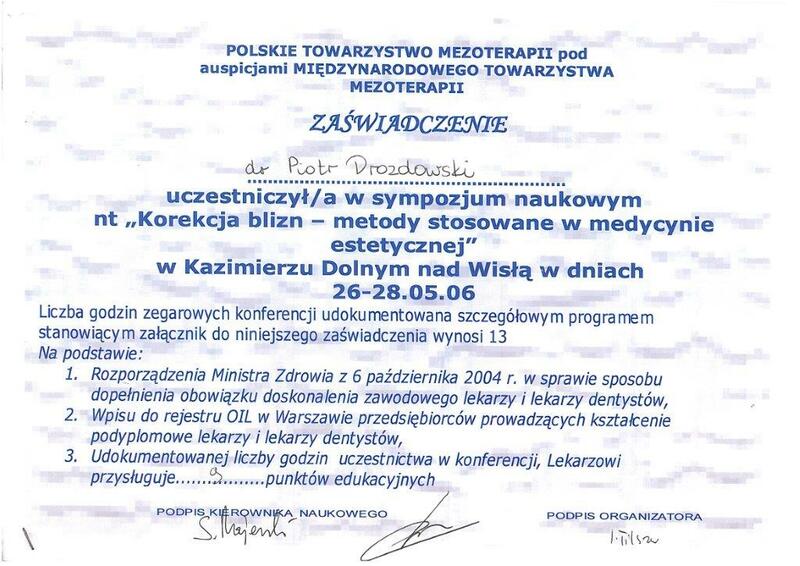 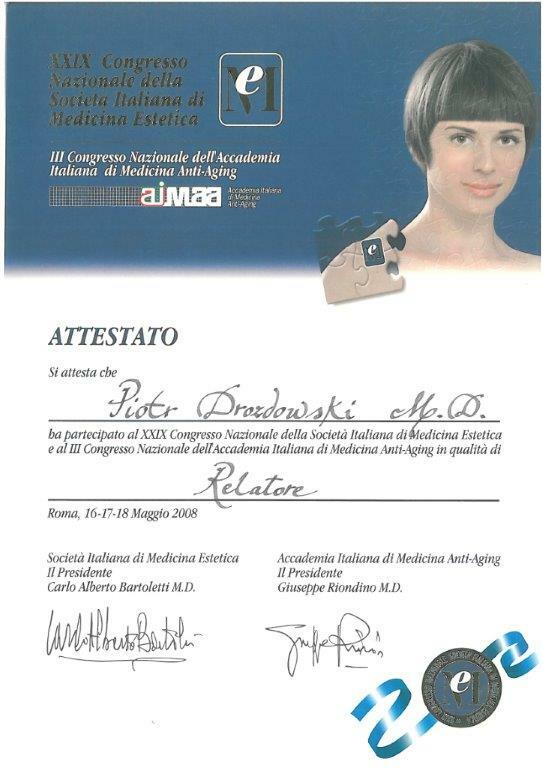 Postgraduate School of Aesthetic Medicine of the Polish Medical Association in Warsaw (2008). 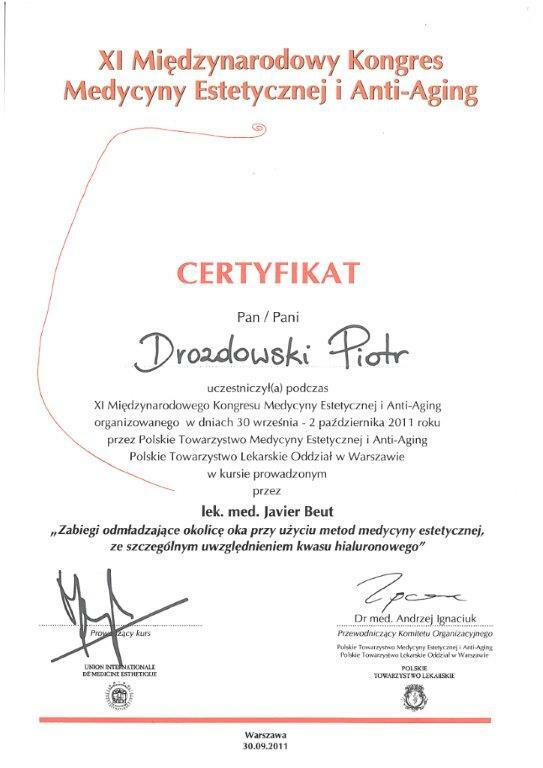 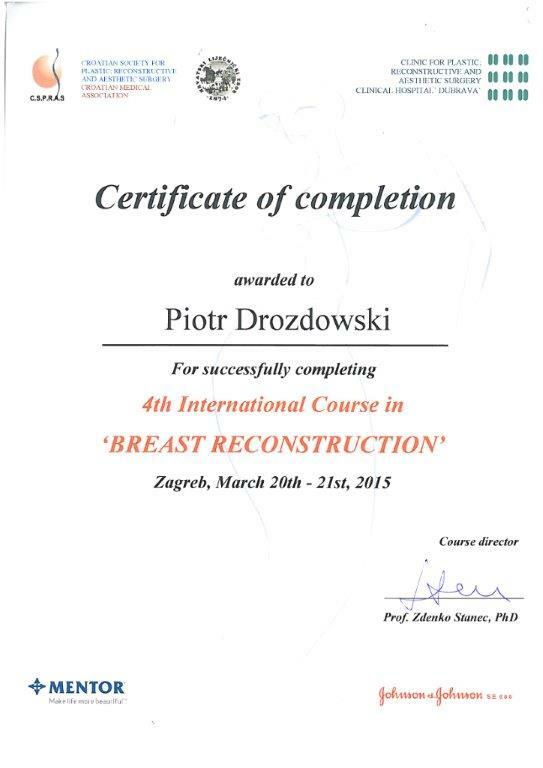 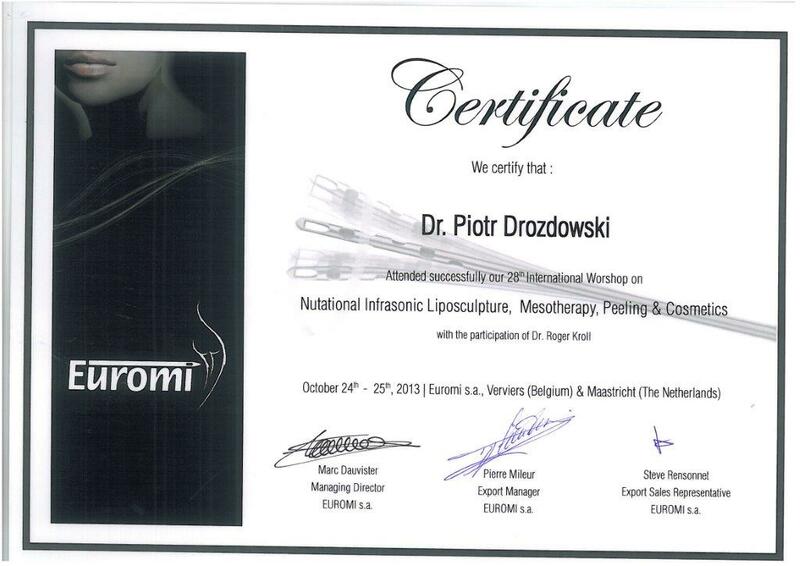 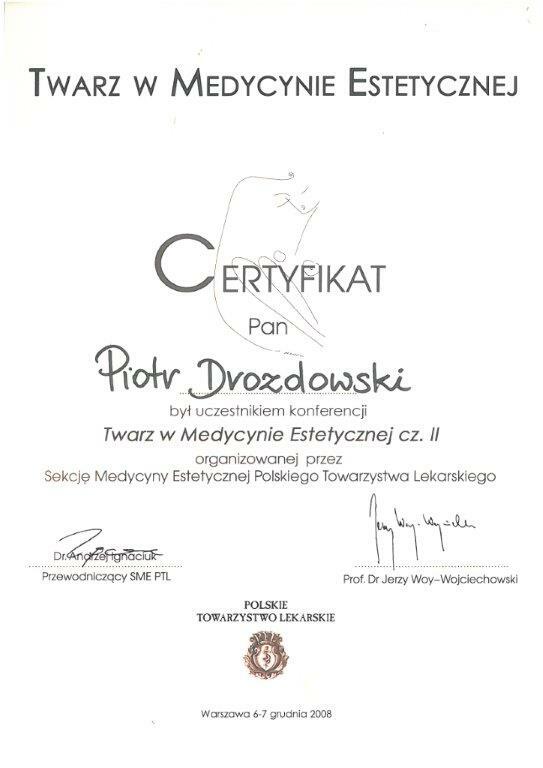 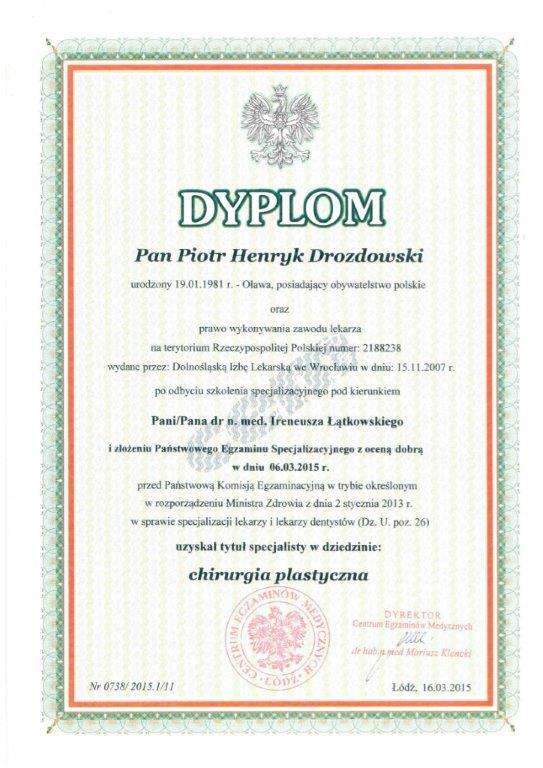 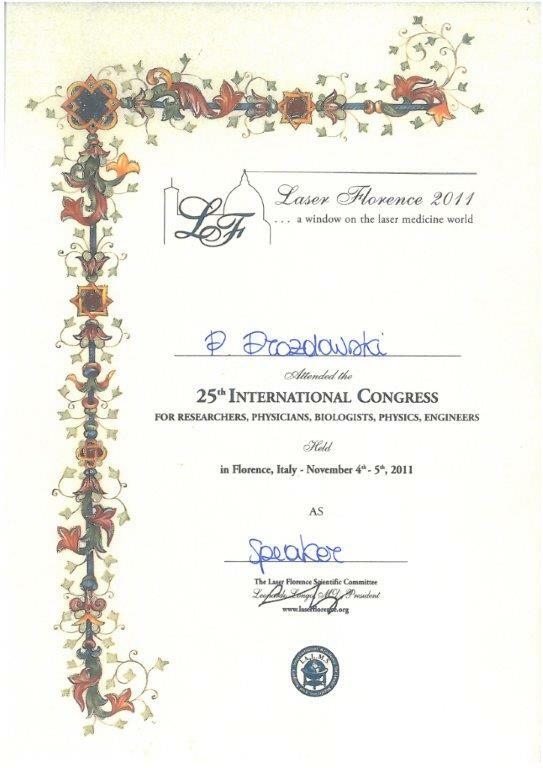 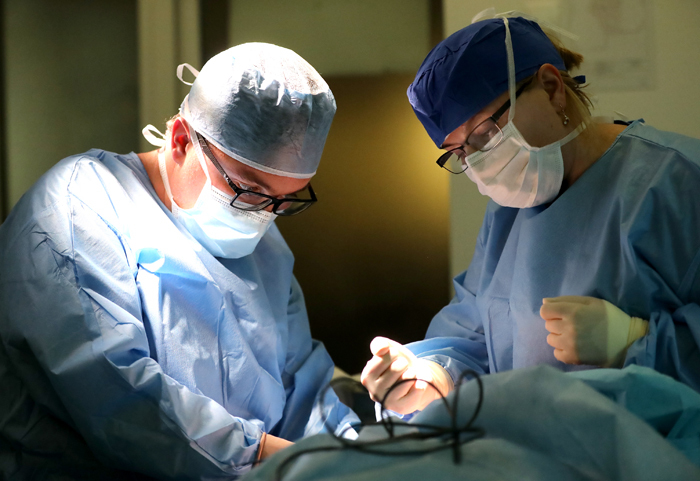 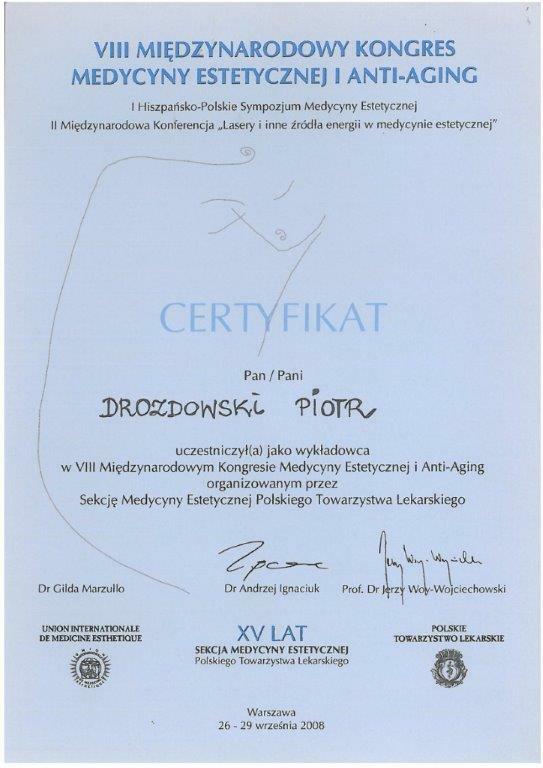 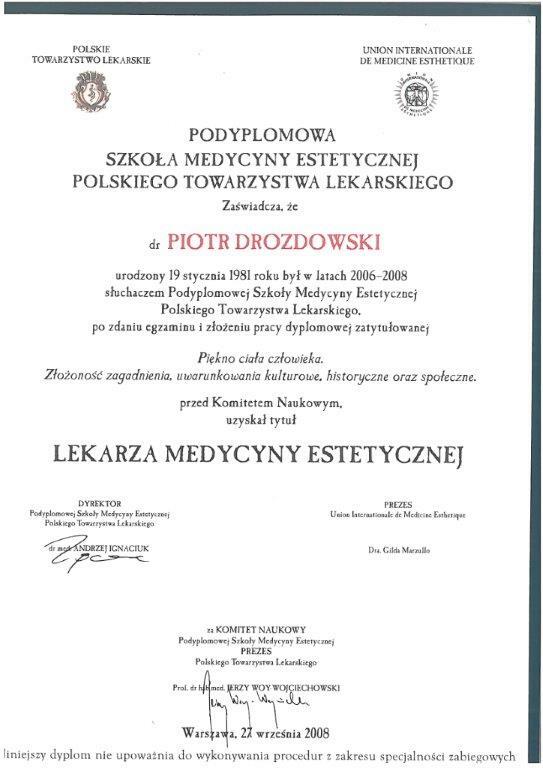 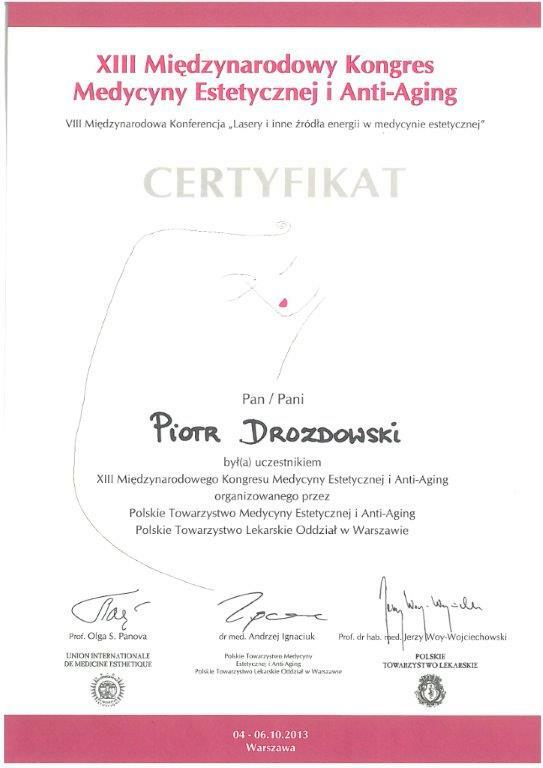 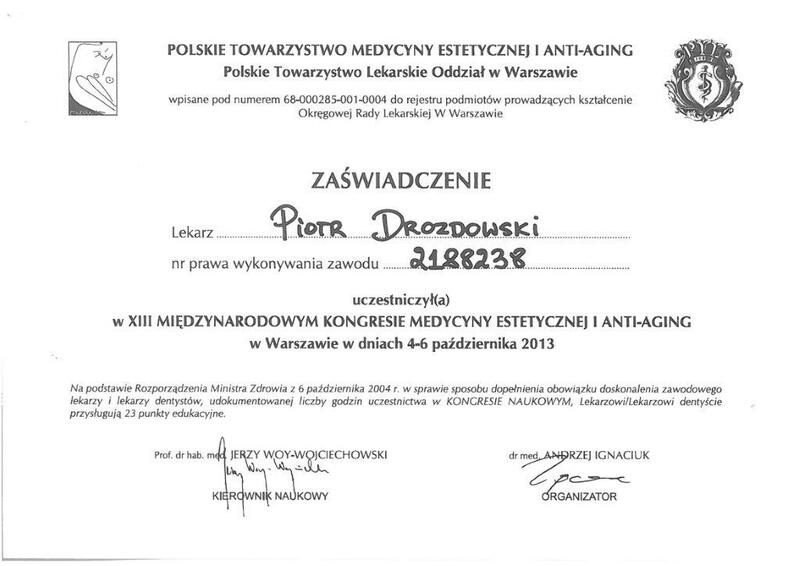 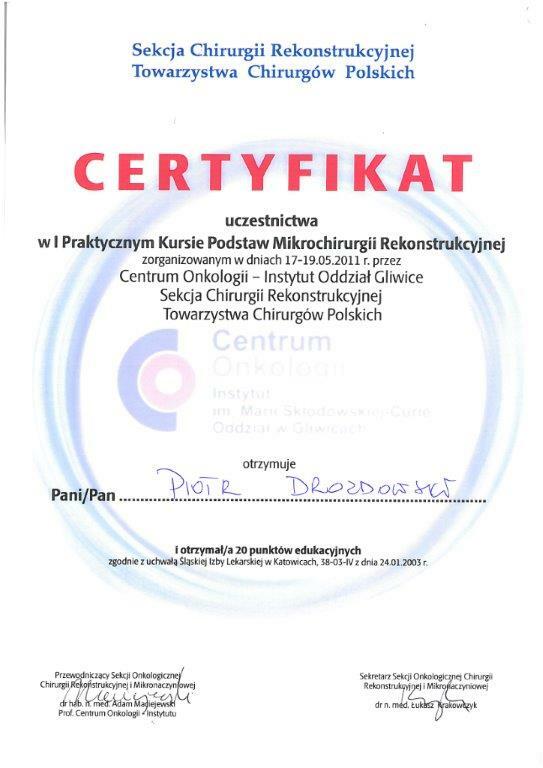 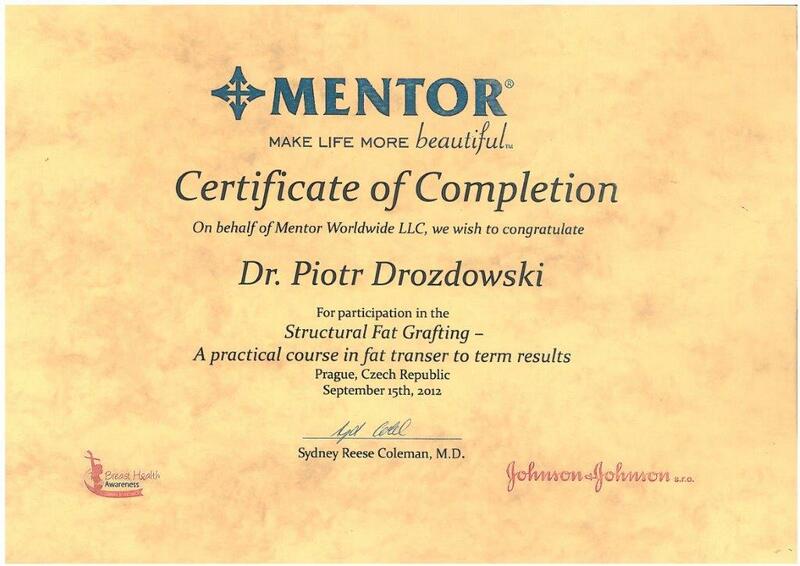 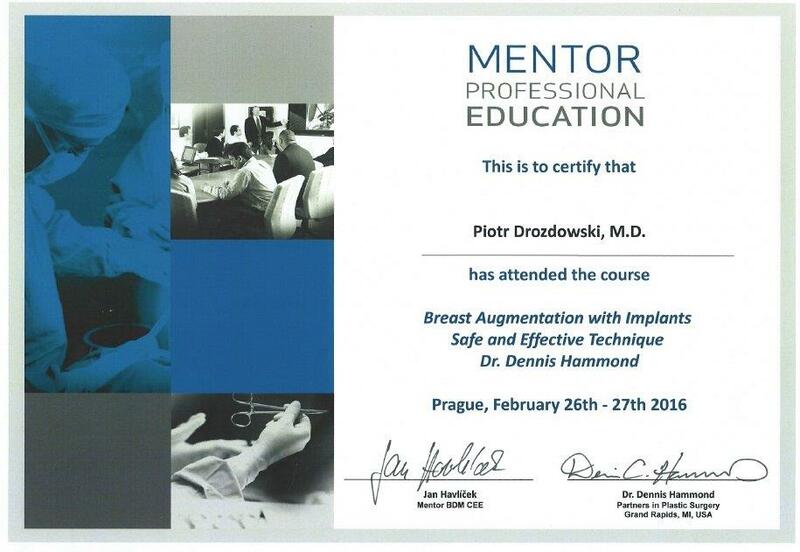 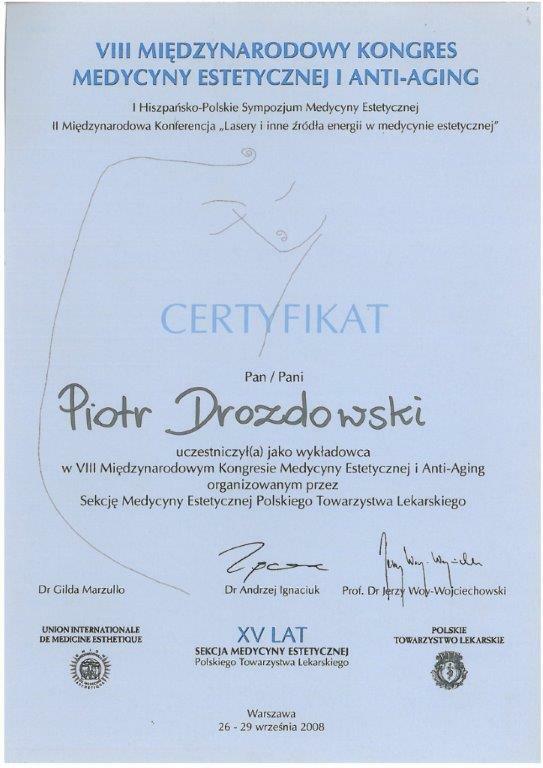 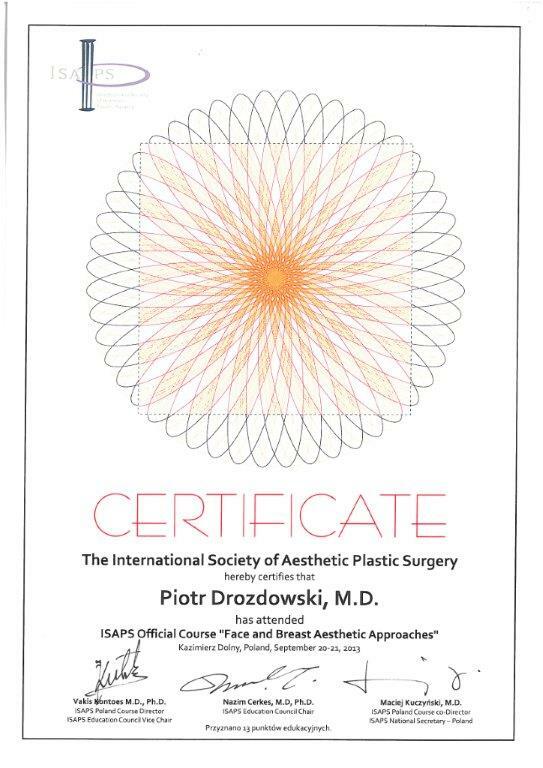 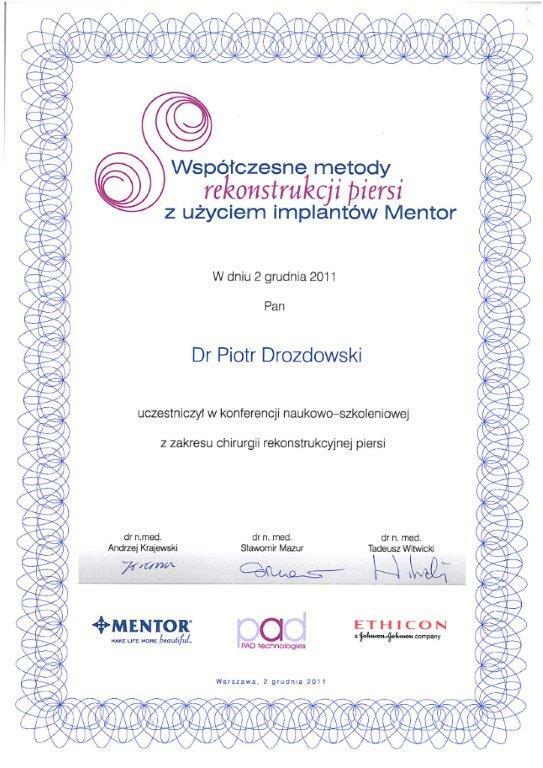 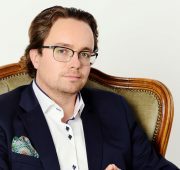 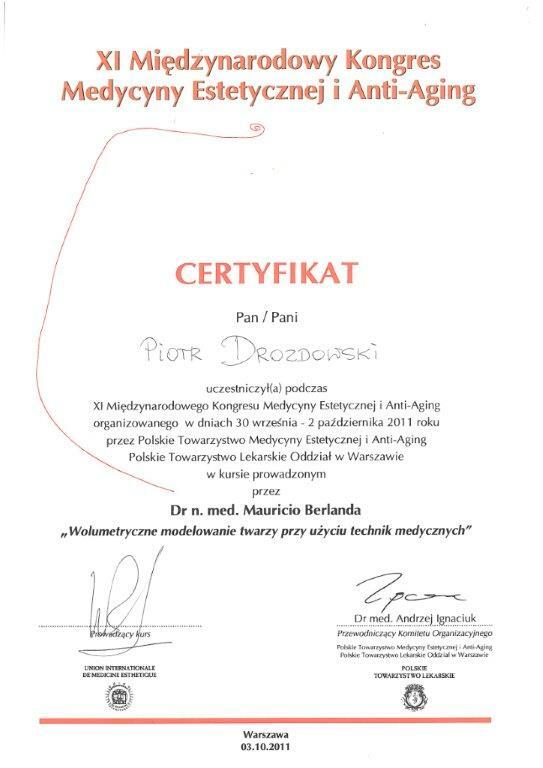 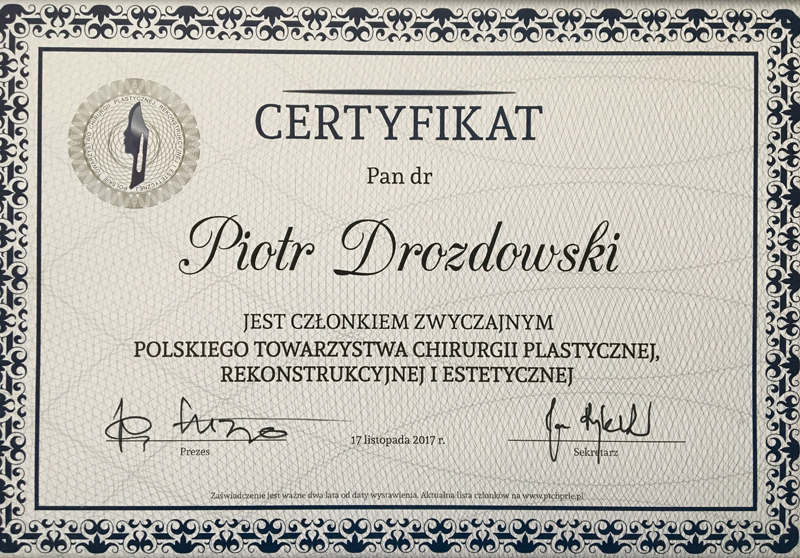 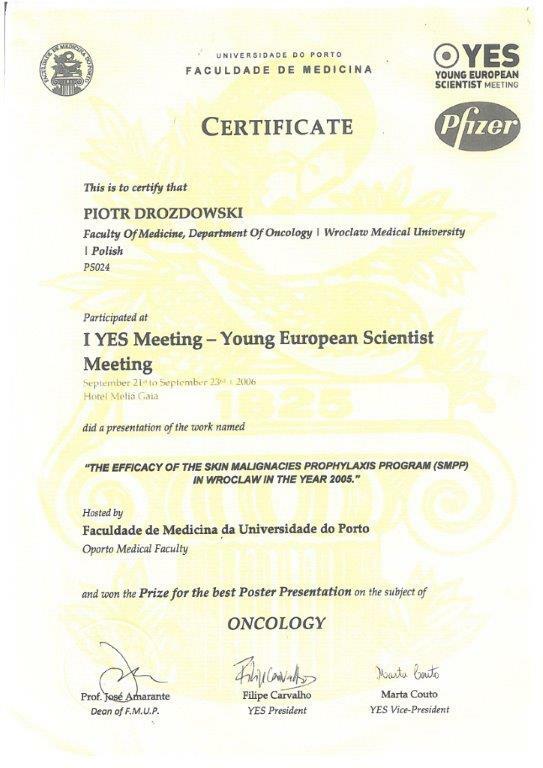 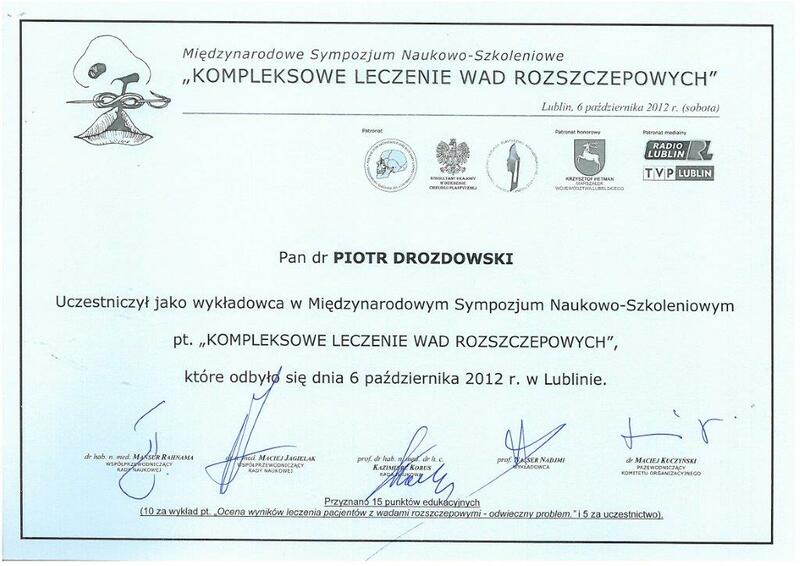 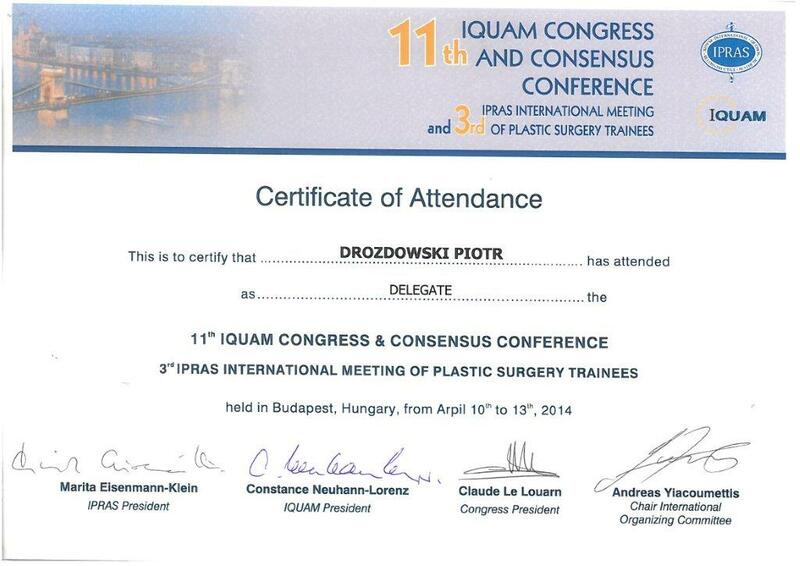 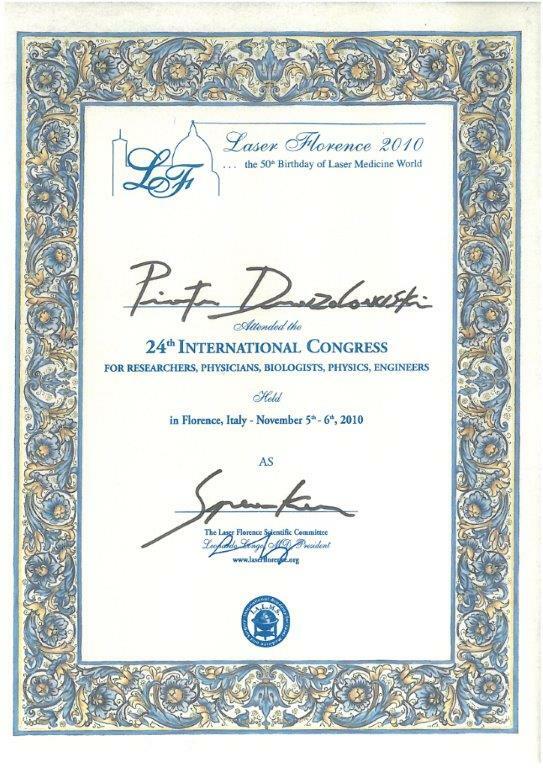 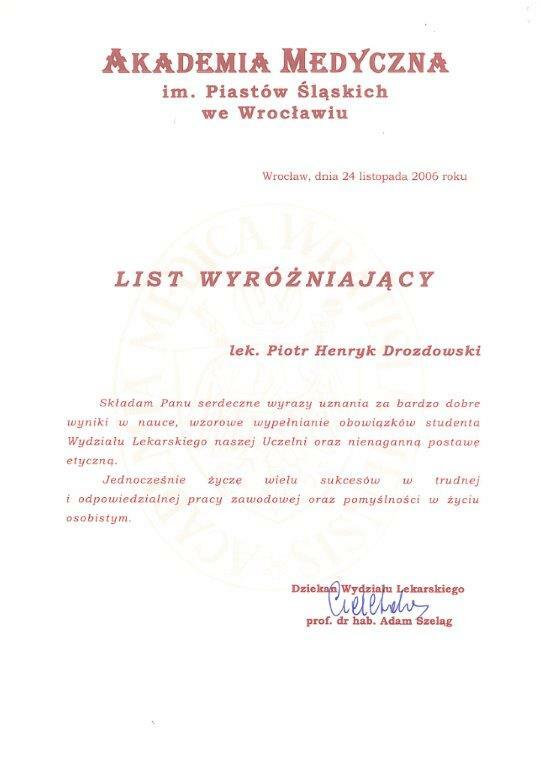 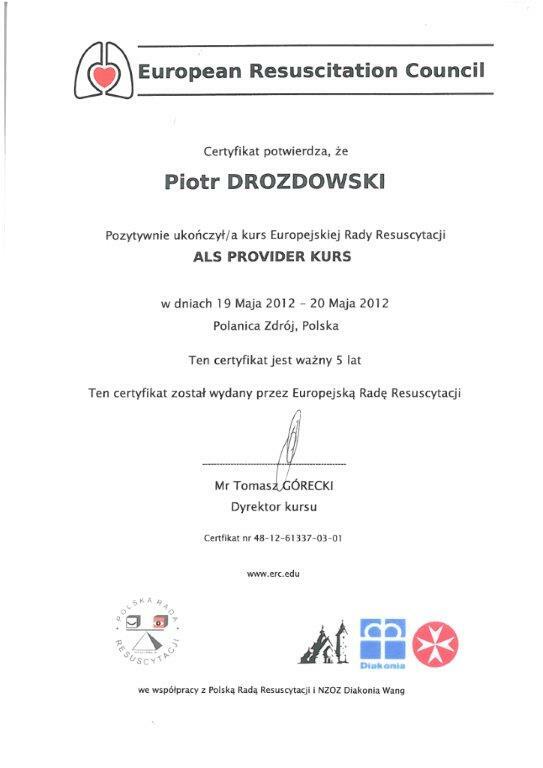 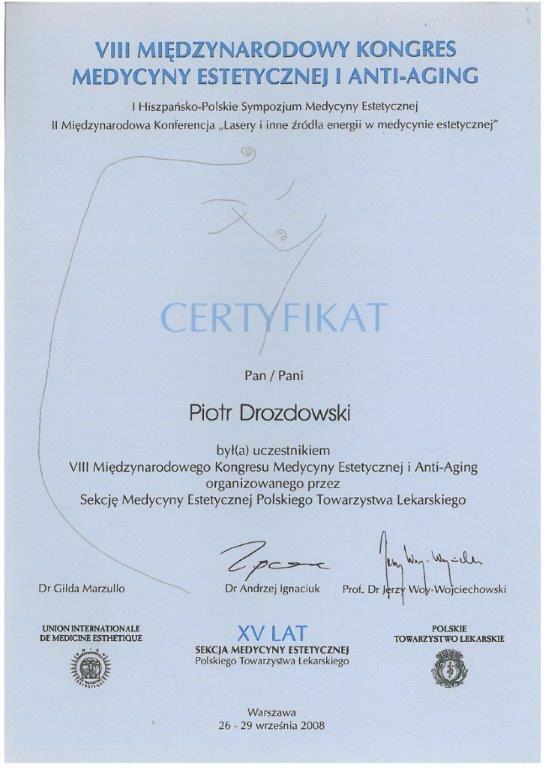 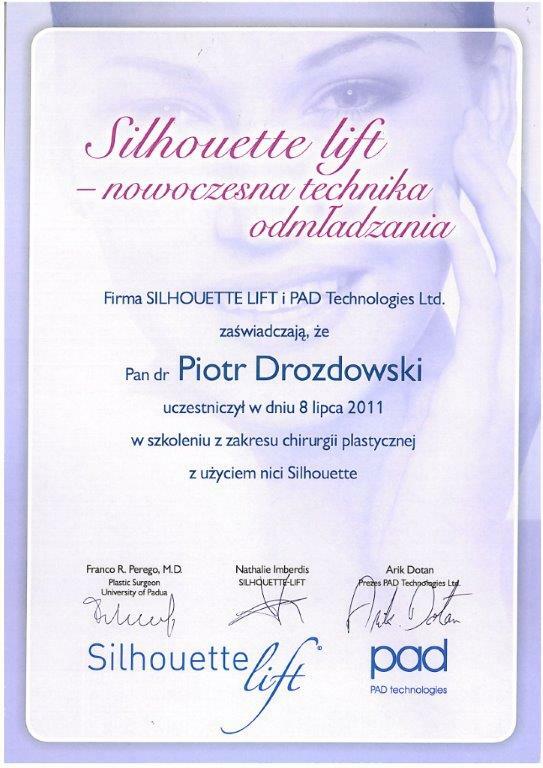 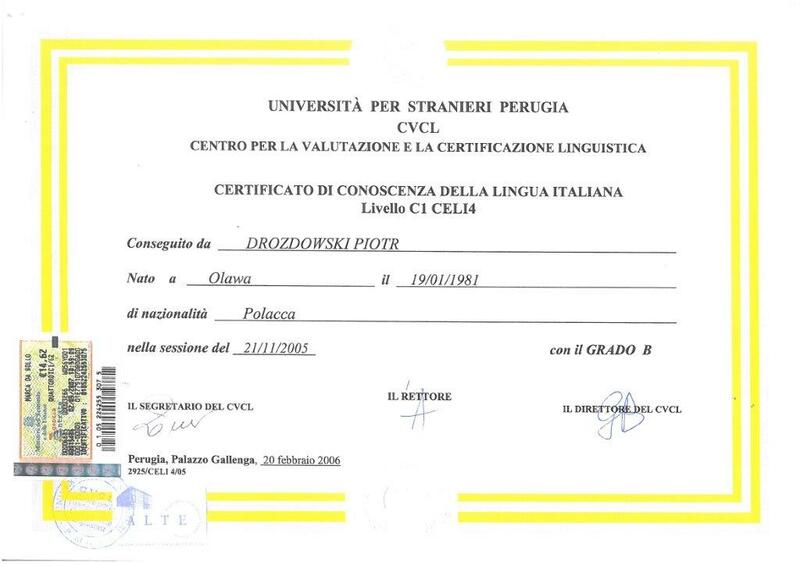 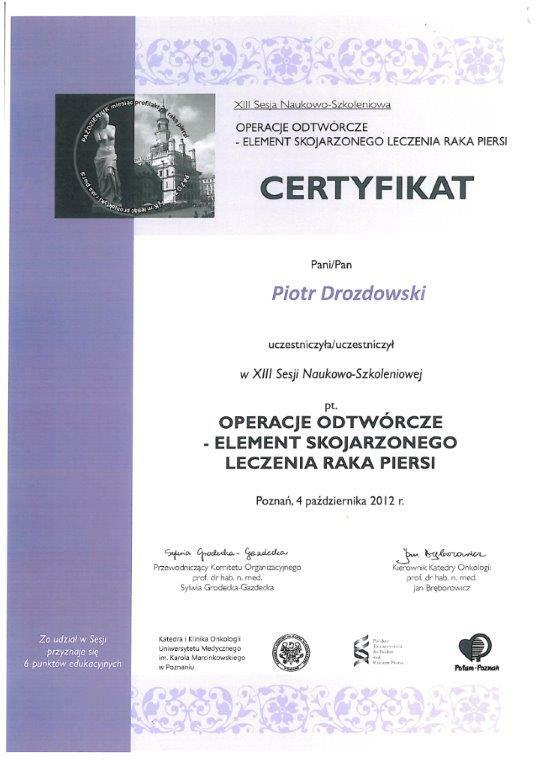 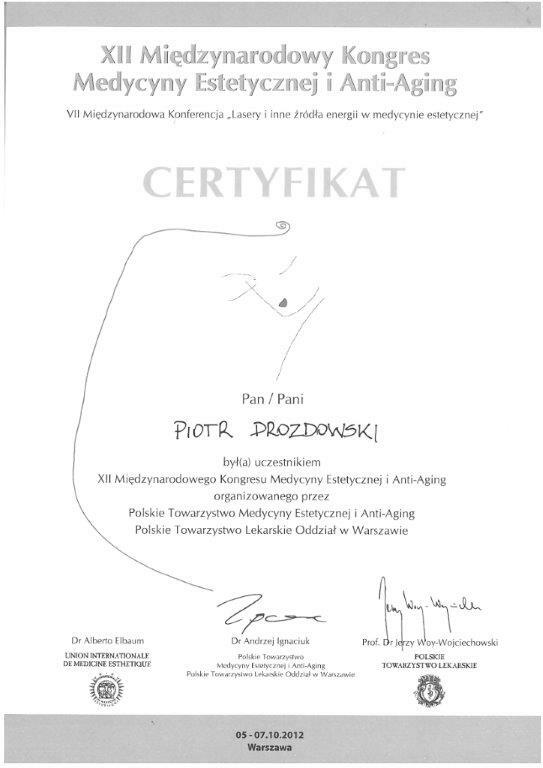 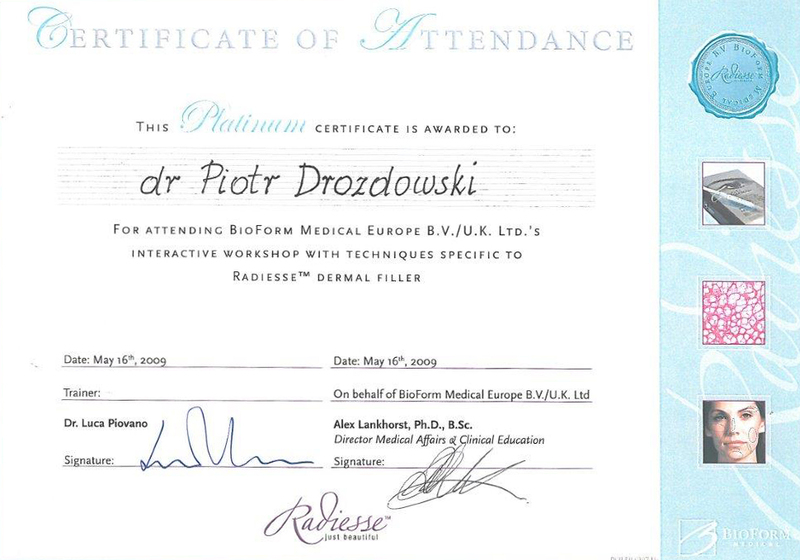 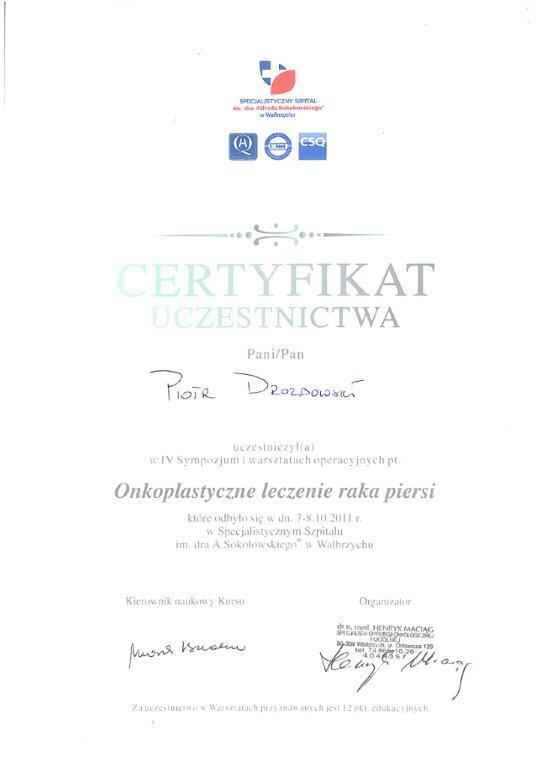 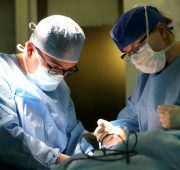 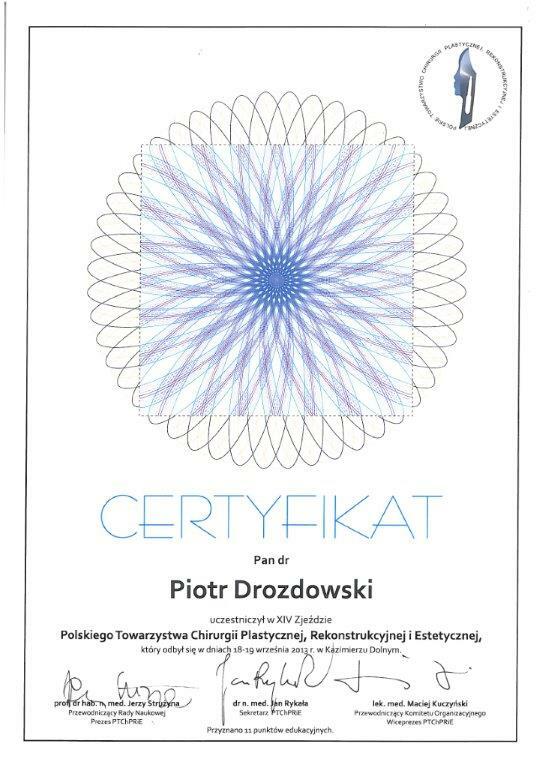 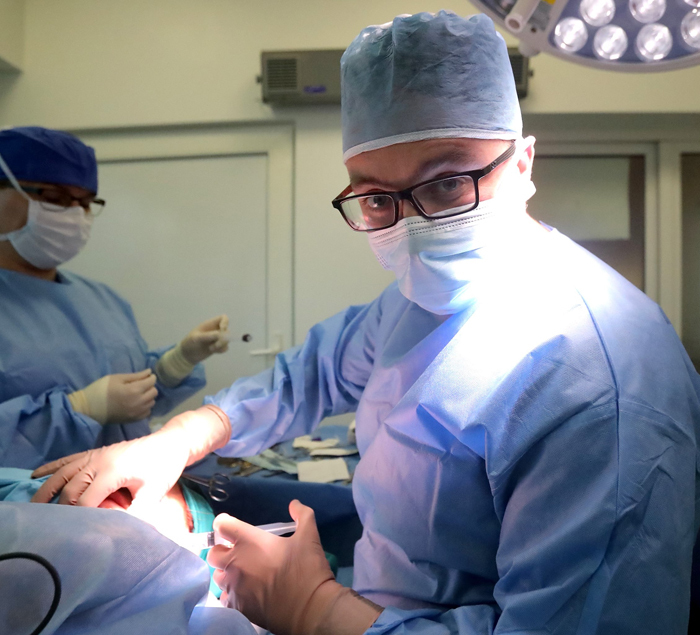 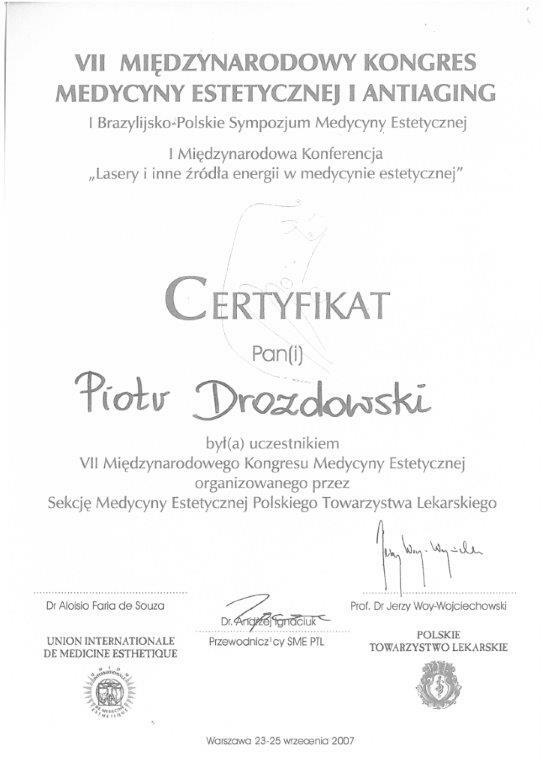 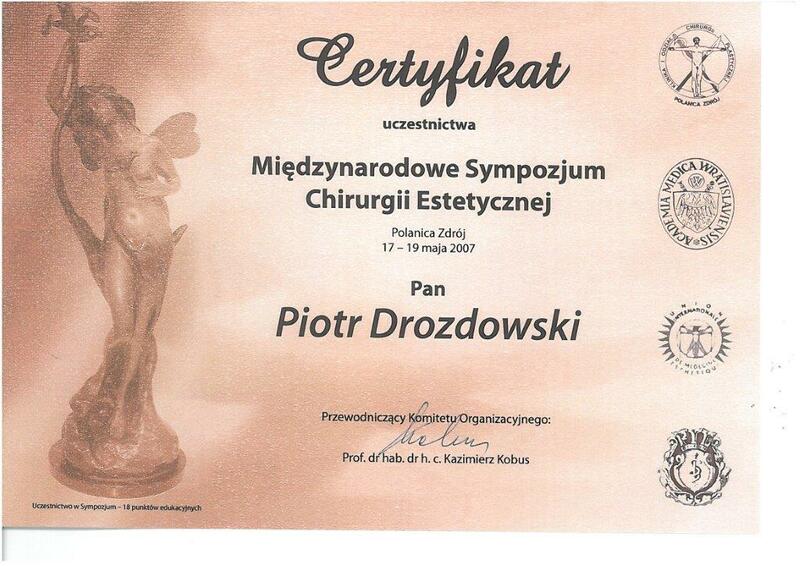 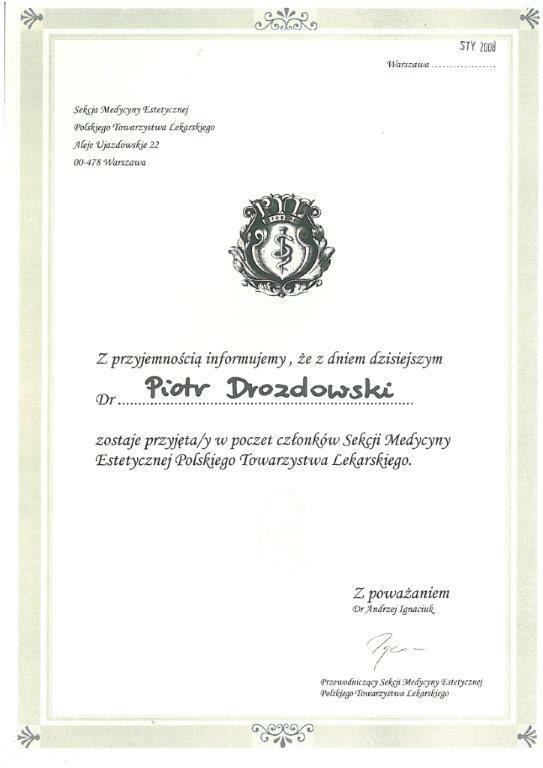 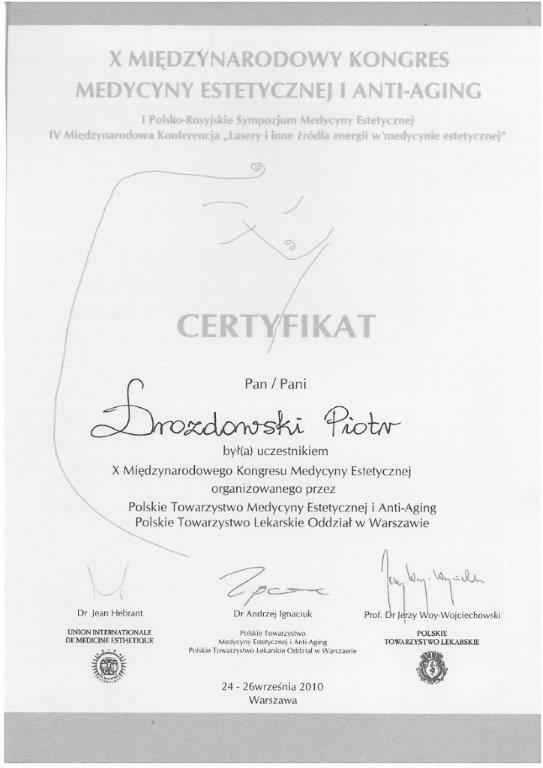 Specialization in plastic surgery under the direction of Dr. Ireneusz Łątkowski (2015). 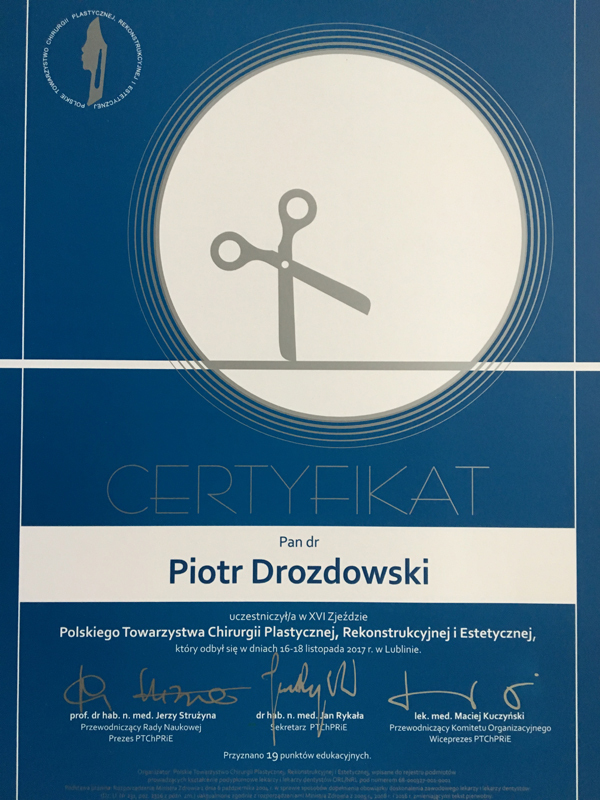 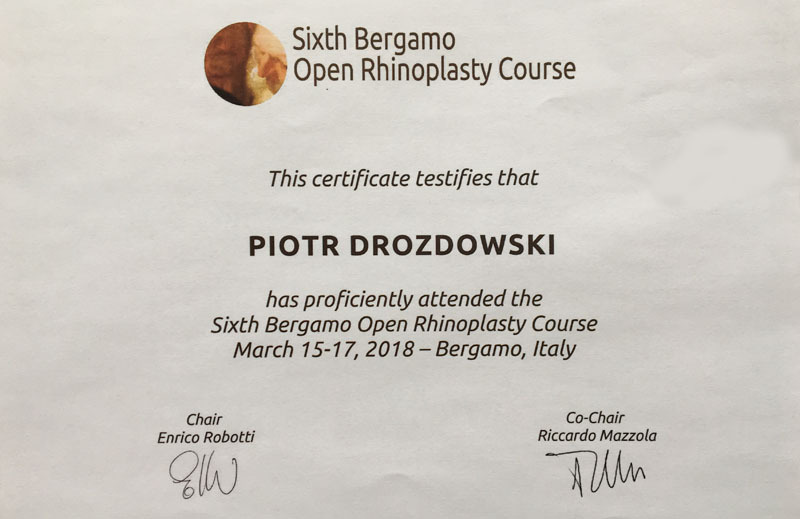 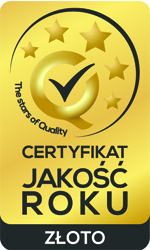 Many domestic and international trainings in plastic surgery departments: In Wroclaw, Łęczna, Gdańsk, Warsaw, Perugia, Padua, Berlin and Debreczyn. 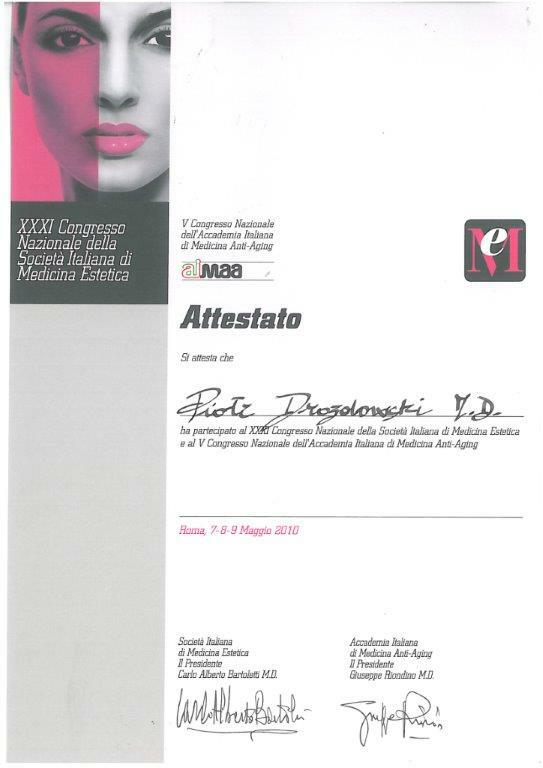 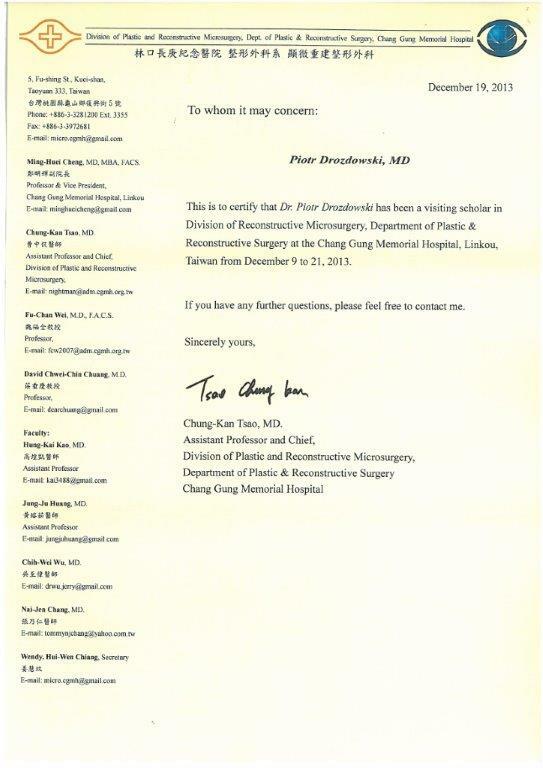 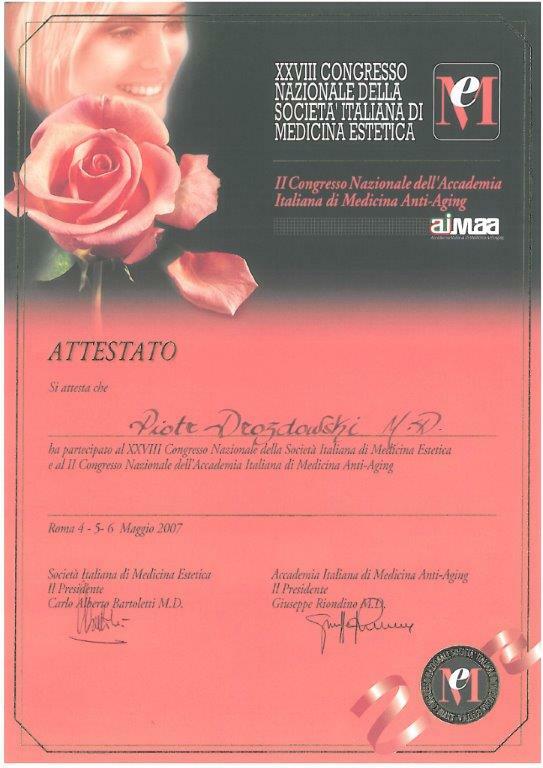 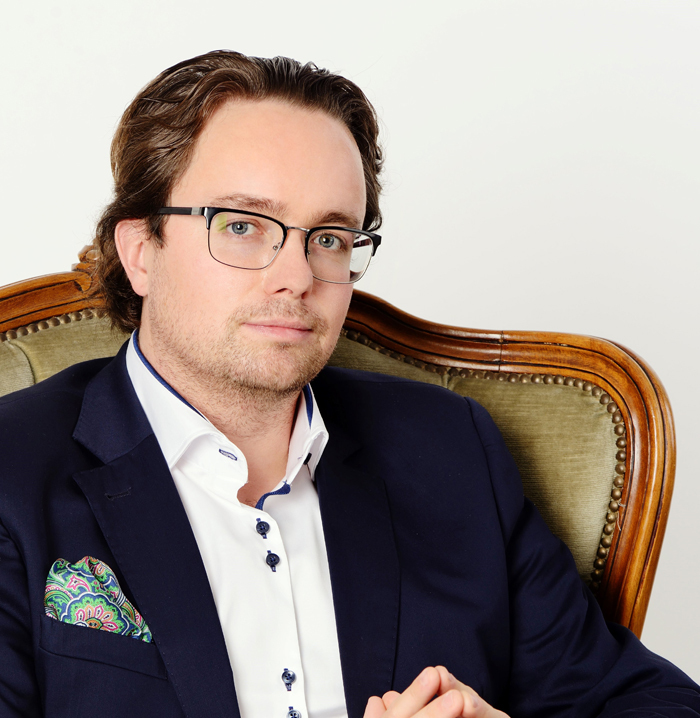 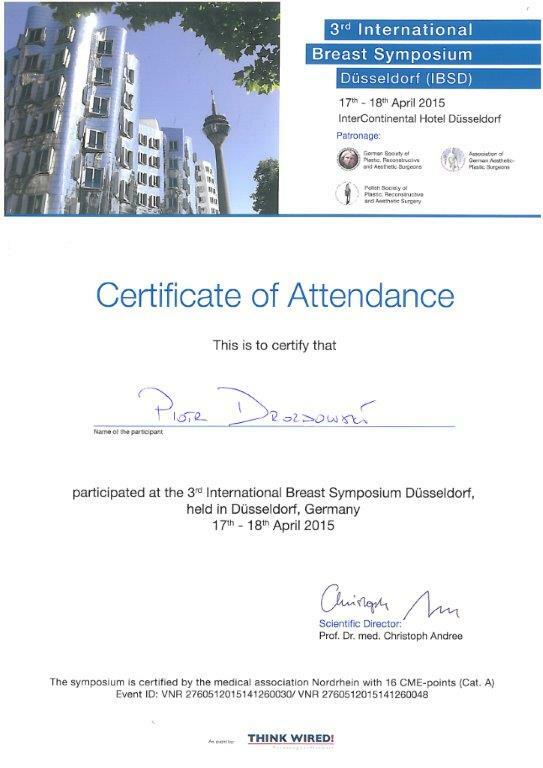 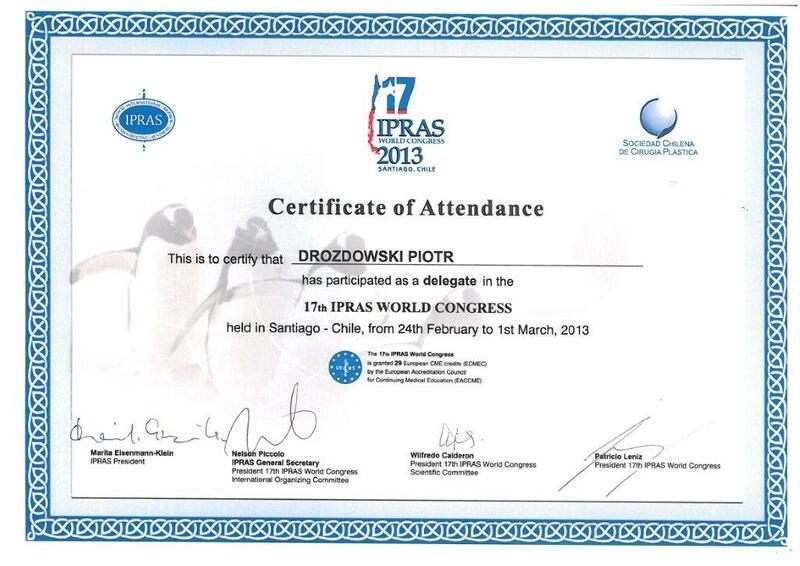 Participated in numerous scientific conferences in the fields of plastic surgery and aesthetic medicine.